Well, now where do we start?! The range of parts and accessories available is huge. We stock and can order a wide range of components to suit your every need. Some of our normal stocked items are:- inner tubes, helmets, tyres, lights, safety gear, oil, cleaning products, computers, grips, bar tape, mudguards, bearings, spokes, chains and cassettes. Ready when you are, whether it's a commute, sportive or you're attaching an Aeroshell and sprinting for the win, the O2 helmet is ready for it. 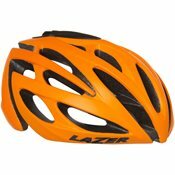 Compact profile, light weight, well vented, and a great fit, all the features of a helmet twice its price with added reflective panels for rear visibility. Punctures are a memory. The SmartGuard layer made from a flexible, special rubber offers particular resistance to shards of glass and flints. Even a thumbtack cannot penetrate this protective layer. The MARATHON PLUS rolls as easily as a tyre without protection. 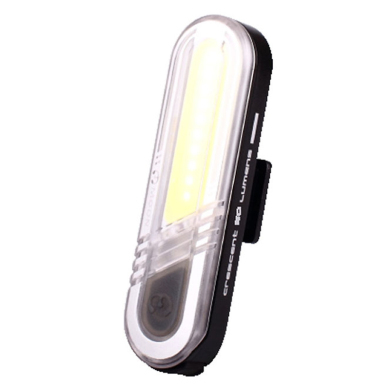 The Moon Crescent COB front light provides amazing light output from a small and lightweight unit. The design allows for the light to be seen from all angles so providing side on visibility Available for front and rear. 50 lumens, USB rechargeable, up to 6 hours 30 minutes runtime, 2 hour charge time, water resistant. The Ergonova sets a new standard in comfort riding. Compatible with clip-on bars - the flat top surface provides excellent support for the forearms to rest on. Available in a 38cm width, making it ideal for smaller riders.